Iron art wildlife and bench in front of the new Raine's Market building. Scott Raine with his creations at the old Raine's Market Location. 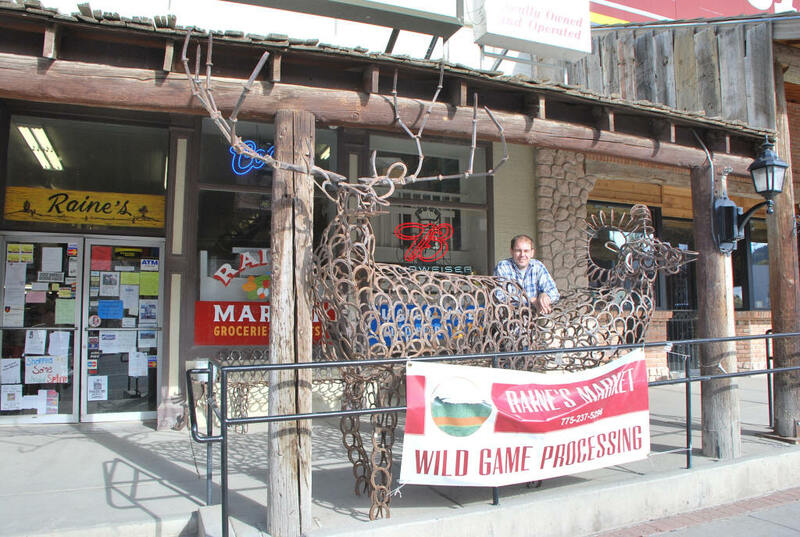 Raine’s Market, in the outback of central Nevada, Eureka, Nevada, sells everything from whiskey to horseshoe nails. This market is a wealth of supplies and information for the traveler that braves the “Loneliest Road in America,” Highway 50. Scott Raine, who is a fifth-generation Eureka County resident, is the manager. 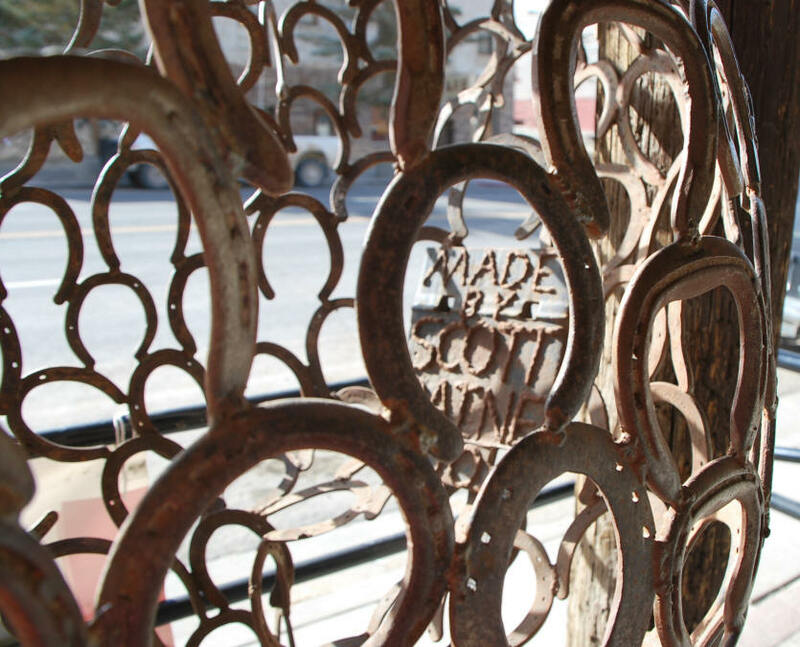 Scott and his family have owned the business since 1973. The store expanded and moved to a new location in 2016. The collections for which it is famous are moving along with it. Scott is an avid hunter, and a past member and Chairman of the Nevada Board of Wildlife Commissioners. Scott, appointed to the Commission in 2007 by former Governor Jim Gibbons, was the only member to have been appointed from Eureka County since 1969. Prior to 1969, each County had one representative on what was then a 17-member Commission and Scott was the first member from Eureka County after the 40-some years since the elimination of the 'one Commissioner per county' rule.